Home > Blog > How Do I Know If I Have a Binding Contract? According to Arizona law, three elements must be present in order for courts to view a contract as legally binding and enforceable. In legal terms, these elements are referred to as “Offer,” “Acceptance,” and “Consideration.” Each of these deserves a little discussion, but first let’s clarify a common misconception. Sometimes you need the assistance of a business lawyer when you are in doubt whether your contract is binding or not. Some people believe that contracts must be in writing to be enforceable. While this is true for the specific types of transactions (listed below), all other (legal) oral agreements that contain the three key elements – an offer, an agreement, and consideration – are likely to be binding and enforceable under Arizona law. For an “offer” to exist, an individual, (or a group of individuals, or an organization) expresses a willingness to make a trade with another individual, group or organization. We’re speaking very broadly here, and the same basic principles of contract law apply whether you’re the CEO of a large corporation negotiating for the services of a new supplier, or whether you’re a mother offering child care services to a neighbor. An offer may take the form of a verbal communication over the phone, a written estimate, a proposal, or even an email communication. All these can potentially contain wording that constitutes a valid offer. Courts will also look beyond the actual wording to the context of an offer. In other words, if your friend says that he would “give his firstborn child” to have your rare book collection, don’t count on adding another turtle sticker to the family of turtles on the back of your car. No court is going to hold him to those words. The guiding principle here is whether a reasonable person, hearing what you heard, would interpret this as a genuine offer. (This does not mean that an offer must be reasonable in the sense of being wise…more on that shortly). “Acceptance” of an offer can of course be done by signing on a dotted line or by verbally agreeing to someone’s offer, but actions without words can also manifest acceptance. Your actions with regards to a transaction can be construed to imply acceptance even when you feel that you have not solidified your participation in a contract with expressed agreement. Legal counsel can be especially helpful in deciphering the impact your actions or those of another may have had in giving rise to a legally binding agreement. The last of the three essential elements of a contract is “consideration.” Consideration refers to something of value that is exchanged for that which is offered. Generally we think of money. But, consideration does not need to be monetary. Items of value, time, labor, or even an agreement not to take an action when one has a legal right to, are examples of consideration. Certain transactions fall within the domain of the Statute of Frauds, and must be in writing to be legally binding—that is, an oral agreement will not be sufficient. All transactions that deal with interest in real property, whether leasehold or ownership interest must be in writing. Contracts, for which complete performance of all terms will take longer than one year to complete, must also be in writing. Finally, transactions that involve the sale of goods in excess of $500, must also have a written contract to be enforceable. Let’s look at an example that we’ll revisit several times. A mechanic, to whom you have taken your vehicle for repair, asks you to sign a repair order that details the repairs that are needed and an estimate of the costs of the repairs. You look it over, you’re in a hurry. You tell yourself “I’m not actually giving him money yet.” And you sign. Have you entered into a binding contract? Clearly, the shop has made an offer to exchange repair services, for a specified amount of money, or “consideration.” Once you sign, all three elements are in place, and a contract has been made that is legally binding and enforceable according to Arizona law. Let’s look at a few variations on this vehicle repair scenario. Seemingly small changes can greatly impact the enforceability of a contract within a court of law. Suppose that when you drop off your vehicle for repairs, no repair order is drawn up, and nothing is signed. However, the shop did call you and discuss the needed repairs over the phone. If at this point you agreed to the repairs and estimated cost, you entered into an oral agreement to which you are now bound. Oral agreements can be tricky since they are basically one person’s word against the other’s. These disputes often rely on the credibility of witnesses. Resolving disputes in these cases involves looking closely at actions and patterns of conduct to reveal whether or not these provide evidence that an agreement has been made, and whether or not conduct is consistent with the terms of the alleged agreement. For example, what if you feel you did not actually consent to the repair, can the shop argue that you gave implied consent by not specifically refusing the repair and immediately retrieving your vehicle? These potential issues are why business lawyers often tell their clients to “Get it in writing”—it is to avoid any potential misunderstandings down the road. Written agreements generally provide far more clarity about the terms of an agreement, and clear evidence of each party’s willingness to enter into the agreement. With a written agreement, the “four corners” rule applies. This rule allows the court to look at what is contained within the four corners of the contract document. This means that all negotiations that preceded the written contract, so long as fraud is not demonstrated, have little or no bearing on the contract that is binding. Anything materially significant to the transaction is assumed to have been included within the written contract. Similarly, once a written contract has been executed, subsequent changes to the agreement, to be enforceable in court, must also be in writing. Here is a final scenario. Let’s say you drop off your vehicle at the mechanic shop yourself, and the repair order that you signed, detailing the repairs to be completed, did not include a dollar amount associated with the repair. Does your signature bind you to owe whatever the mechanic chooses to charge? No. There is a lack of “consideration” in the repair order—the contract did not state a value to be exchanged. Once again, this does not mean you are not liable for paying for the repairs done. But the mechanic shop would not be able to present the signed repair order, in and of itself, as a legally binding contract, since it did not include the element of consideration. Real scenarios are complex and multidimensional. If you’re wondering whether or not you are a party to a binding contract, you have likely either made an offer that you feel was accepted, or accepted an offer that you feel was made to you. In either case, you feel you are justified in assuming that a legal agreement or contract was entered into. Alternatively, you may be in a situation where you are being accused of having made an offer or accepted an offer, and you have been told that you must comply with the supposed agreement, or perhaps you’ve even been accused of being in breach of a binding contract. In theory, the concepts of making an offer and accepting an offer seem very straightforward. Every contract case we review is different, and surprising interpretations of what does and does not constitute an offer, acceptance and consideration often emerge. 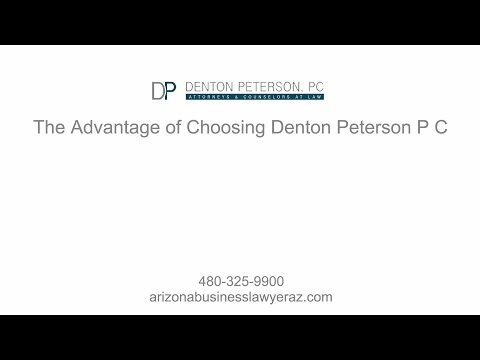 Should you choose to seek legal advice or representation for your specific situation, the attorneys at Denton Peterson, PC would be eager to look closely at your situation, and advocate on your behalf. 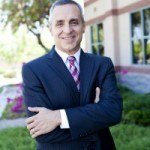 For business owners wanting to ensure that they have a valid contract for use with customers, clients, or suppliers – a contract that binds all parties to their respective agreements – we have a team of Mesa business lawyers with the experience and depth of insight to help get you favorably and securely positioned in all your legal forms and agreements. Contact us today to learn more.